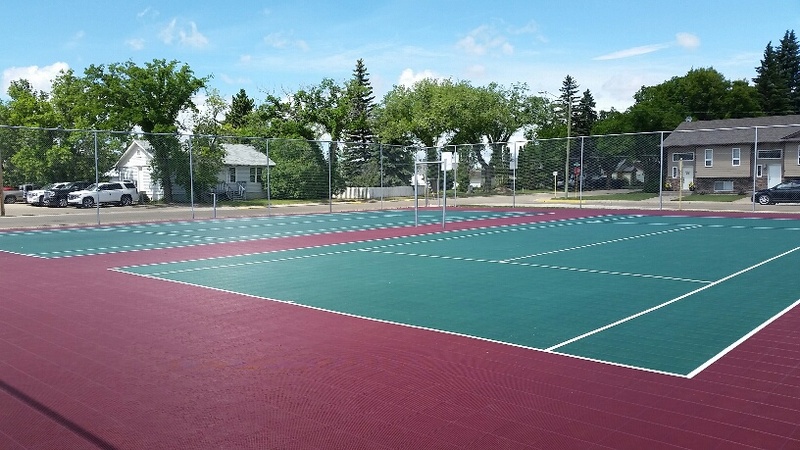 Whether it's for your own backyard or your local tennis club, Sport Court interlocking athletic tiles can be installed in new facilities, or to resurface an old tennis court. 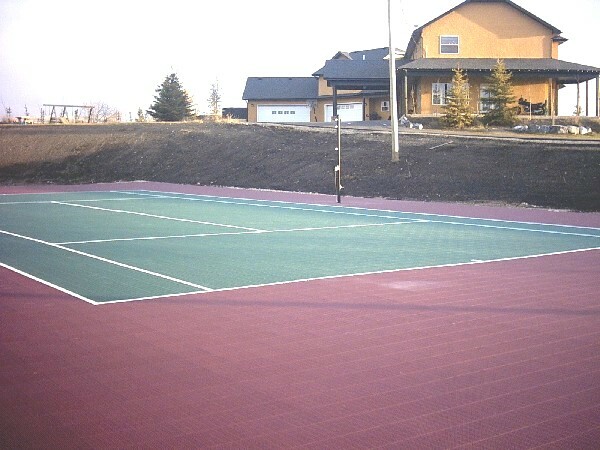 Tiles can be laid right over old, cracked asphalt which saves money by not having to rip out the old surface and re-pave it. 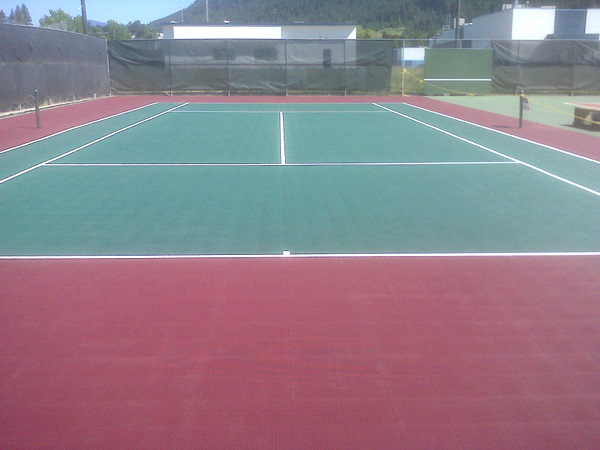 Sport Court tiles are the ONLY athletic tiles that are used and endorsed by the International Tennis Federation and the United States Tennis Association as well as many other professional sports organizations. 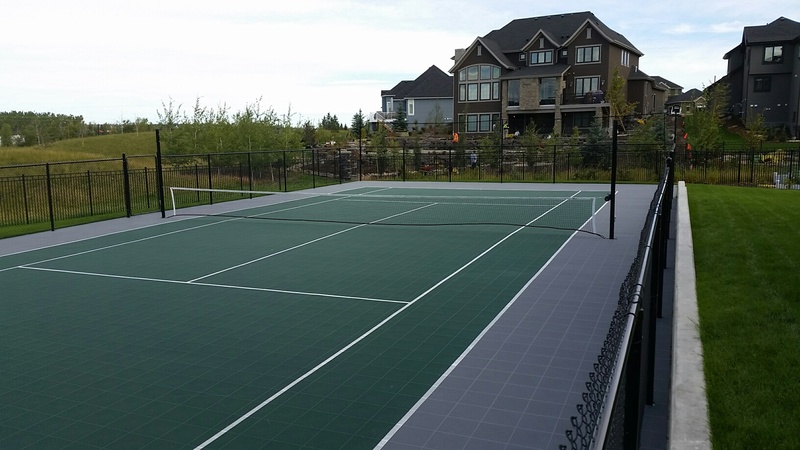 Our tiles are rated for true ball bounce and a fast pace. 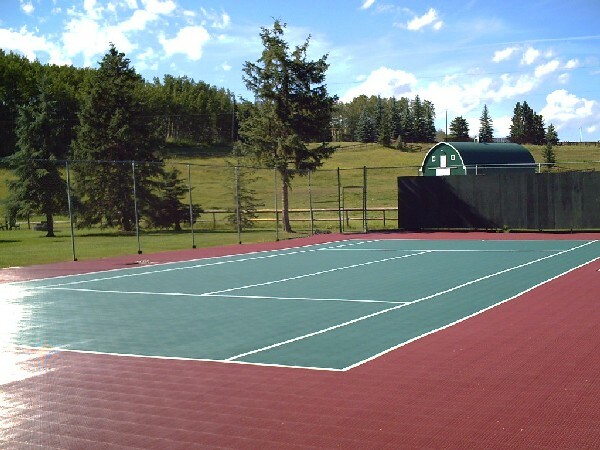 The average lifespan of our outdoor court surfaces is over 30 years and they are virtually maintenance free. 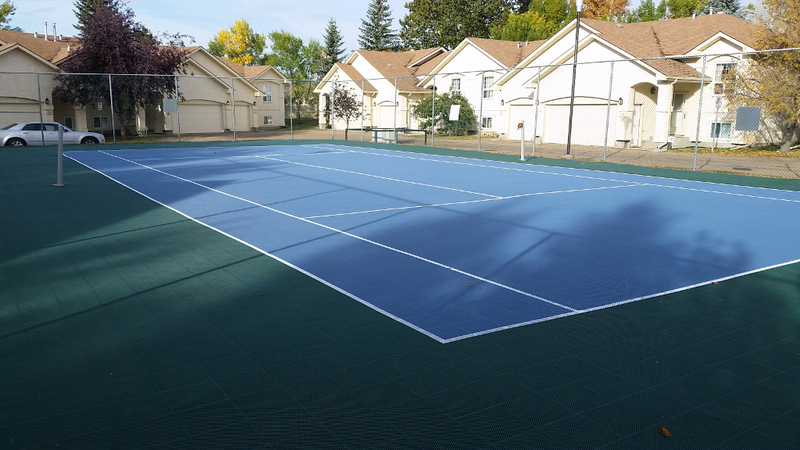 Tennis courts can be built as a full size 60' x 120' court or as a smaller short-court tennis surface that can fit in a backyard. 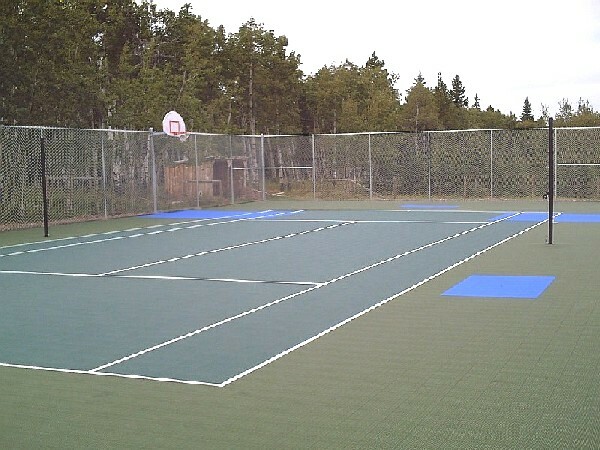 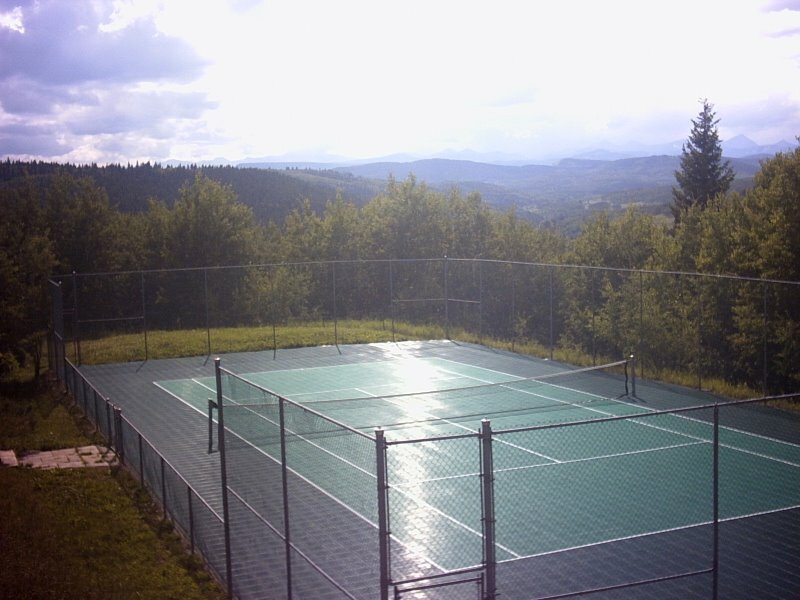 Tennis courts can be built to include other games such as basketball, volleyball, badminton and up to 15 different games depending on the size of the court. 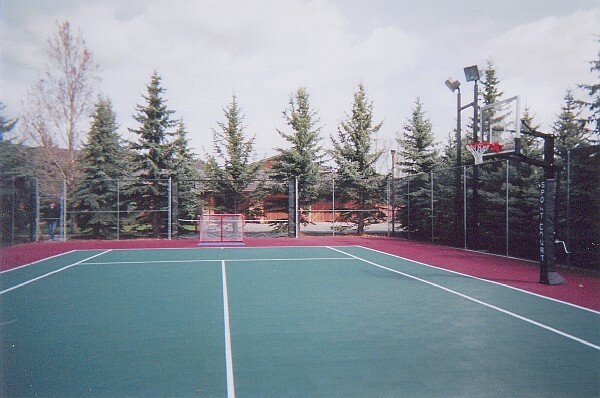 Courts can be flooded in the winter to make a hockey rink and the multi-purpose net poles can be easily removed so they are not in the way of playing ice or ball hockey. 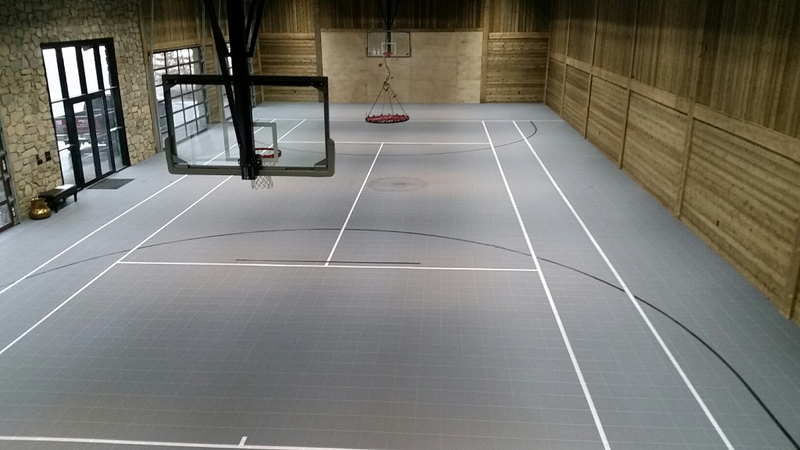 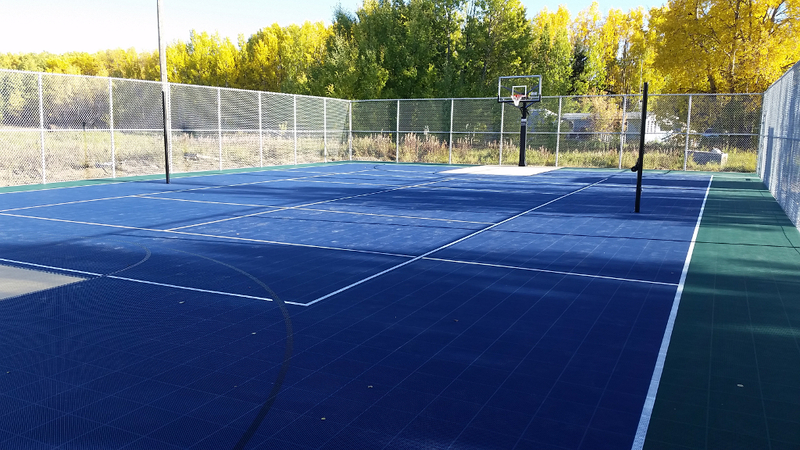 Sport Court tiles have patented OrthoCush™ designs with Lateral Forgiveness™ that are much easier on the body than playing on hard surfaces like asphalt or concrete. 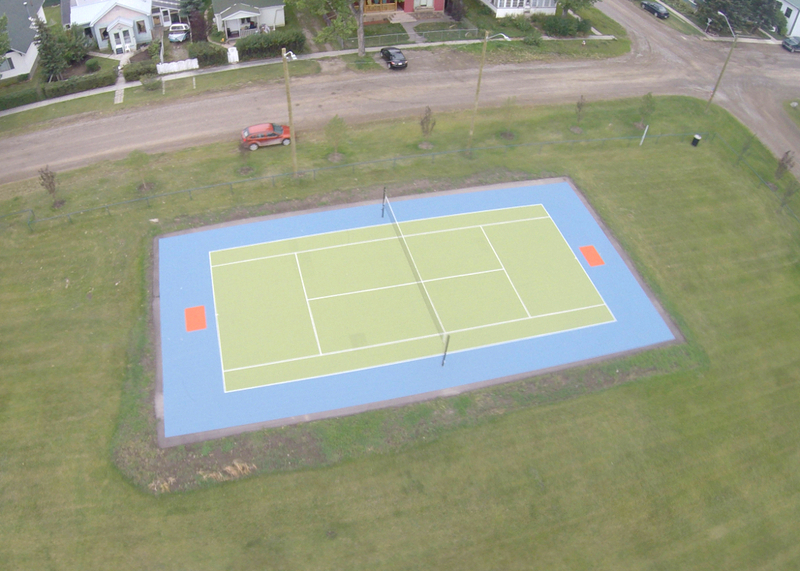 City of Brooks, AB - 2 full size tennis courts. 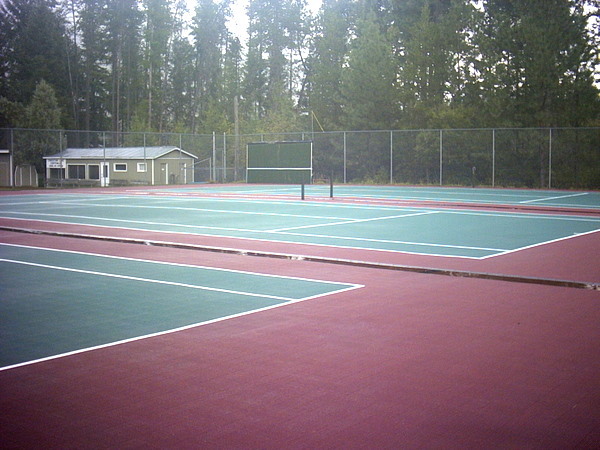 3 full size 60' x 120' Sport Court tennis courts. 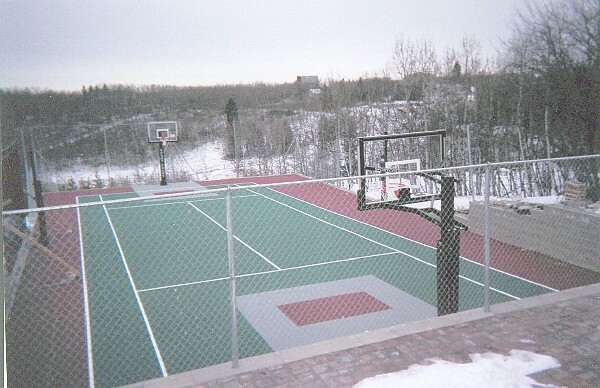 Blackie, AB full size court aerial view.